Develop your practice or a specific project with more focus and rigor. Developing Practice: Independent Study is intended for artists who want to focus studio time on a specific project or body of work with access to a weekly one-on-one crits with the professor and on-line classroom discussions, no matter what level of higher education or stage in their career. Posted in news & events, opportunity on 05 December 2016 by galleryELL. 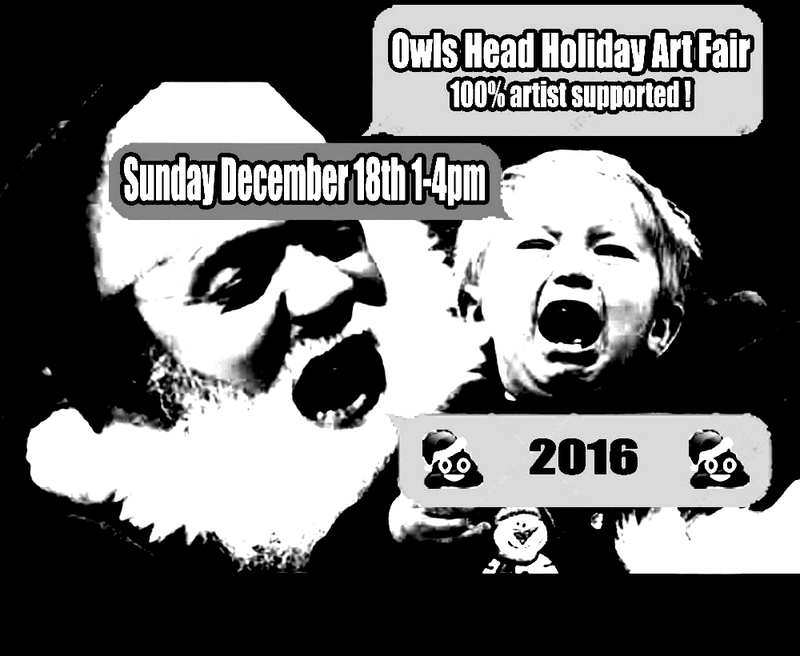 Do your holiday shopping and support local talent! Posted in artist event, exhibition, news & events on 05 December 2016 by galleryELL. Please join us on Tuesday, 06 December 2016, 7‐9p, for the panel discussion: The Art of Archiving, a conversation about archival practices in art making. The panel will focus on how art can function as a vessel for collective memory and will be composed of artists Alix Camacho, the artist duo Floor Grootenhuis and Frank Tate, John Ros and Erin Turner. The discussion will take place at the gallery of the Queens College Arts Center in the Benjamin Rosenthal Library and will be moderated by curator Adriana Pauly. The Art of Archiving will be preceded by a curator-­led tour of the exhibition at 6p and followed by a reception to celebrate the end of the exhibition. ATLAS [INDEX] ARCHIVE reflects	on the ways in which contemporary artists understand and dialogue with archival practices (cataloging and organizing of visual and theoretical materials in order to generate aesthetic experiences. The works presented stand in for actions, memories and historic moments. Forever captured or continuously evolving they come together to map out personal and universal histories. Posted in artist event, exhibition, news & events on 01 December 2016 by galleryELL. After much time and reflection, we have come to the decision to end galleryELL’s programing at the end of 2016. Our sister project, studioELL will remain operational as we shift our focus to alternatives in higher education and community organizing. Though galleryELL has always been a fluid project that has allowed for the evolution needed to lead the zeitgeist, the project finally feels like its scope has become oddly limited. At the start of 2017, galleryELL.com will shift to become an archive in order to highlight all the amazing projects we have accomplished over the past eight years. We want to thank our artists, followers and supporters for the enthusiasm you have shown us throughout the years. This project has been fully artist funded and run! We pride ourselves on maintaining this identity which has helped shape much of the cultural landscape today. This project has meant so much — from the studio visits and residences, to exhibitions, writing and curatorial projects. We stand proud of everything we have accomplished over the past eight years. We wish you all the best in continued success in and out of the studio — with rigorous conversations within the multitude of varied art spaces we occupy. Posted in gallery, general, news & events and tagged archive, galleryELL, studioELL on 01 December 2016 by galleryELL. Artist Reception: Saturday, 12 November 2016, 4-6p. The Callahan Center Gallery at St. Francis College will feature a new body of work from Jeannine Bardo during the month of November, curated by artist John Ros. Jeannine Bardo states in her artist statement, “My landscape is nearing extinction, as am I, as are we.” The work that makes up the exhibition, Solastalgia, directly relates to this phase. The term solastalgia, coined by philosopher Glenn Albrecht in 2003, is the psychic or existential distress caused by environmental change. Solastalgia is Bardo’s attempt to bring that conversation to the fore. Throughout her life she has planted herself firmly into the ground as an artist, community activist and educator, yet her works speak to an interest in that movement which surrounds us and shapes us. Bardo cultivates her persistent energies of constant motion onto the page. It is with this energy that she also presses on us — an affront in gesture and meaning so that we too may experience a sense of solastalgia. The exhibition is on view from 04-29 November 2016. Join us for a reception for the artist on Saturday, 12 November 2016 from 4-6pm. The gallery is located at 180 Remsen Street, Brooklyn Heights, New York, 11201 and will be open to the public during school hours. Posted in artist event, exhibition, news & events and tagged climate change, jeannine bardo, john ros, solastalgia, st. francis college on 25 October 2016 by galleryELL. Posted in exhibition and tagged fiona buchanan, galleryELL, three rooms on 24 October 2016 by galleryELL. An opening reception will be held during the Arts Festival, on Friday, 21 October 2016, between 6‐10pm. ATLAS [INDEX] ARCHIVE reflects	on the ways in which contemporary artists understand and dialogue with archival practices (cataloging and organizing of	visual and theoretical materials in order to generate aesthetic experiences. The works presented stand in for actions, memories and historic moments. Forever captured or continuously evolving they come together to map out personal and universal histories. ATLAS [INDEX] ARCHIVE is organized by the QC Art Department graduate students in conjunction with the campus’ first Arts Festival, and curated by Adriana Pauly. 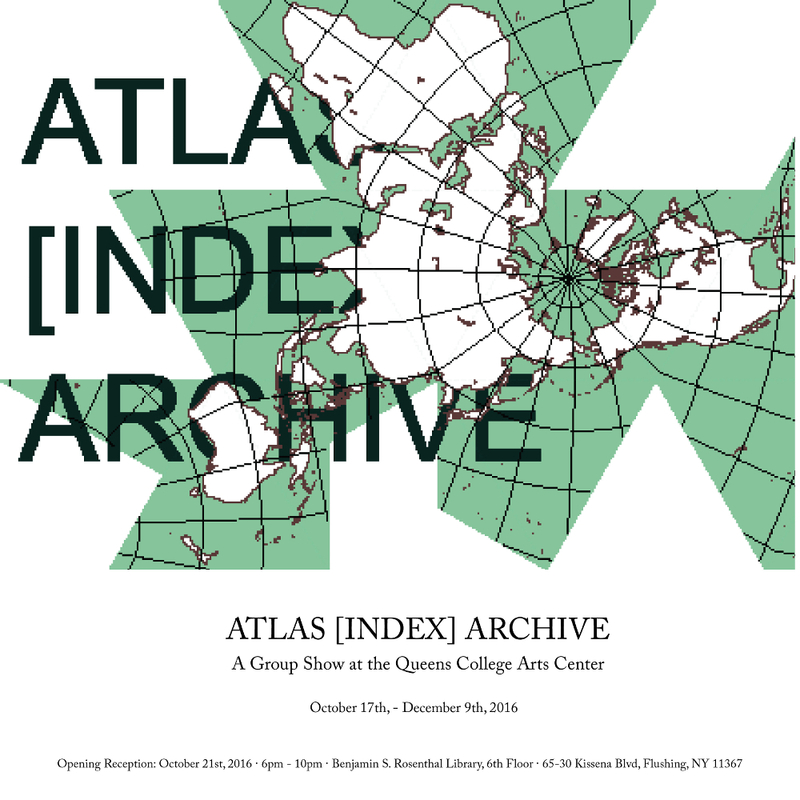 Posted in artist event, exhibition, news & events and tagged Adriana Pauly, ATLAS [INDEX] ARCHIVE, john ros, queens college on 14 October 2016 by galleryELL. 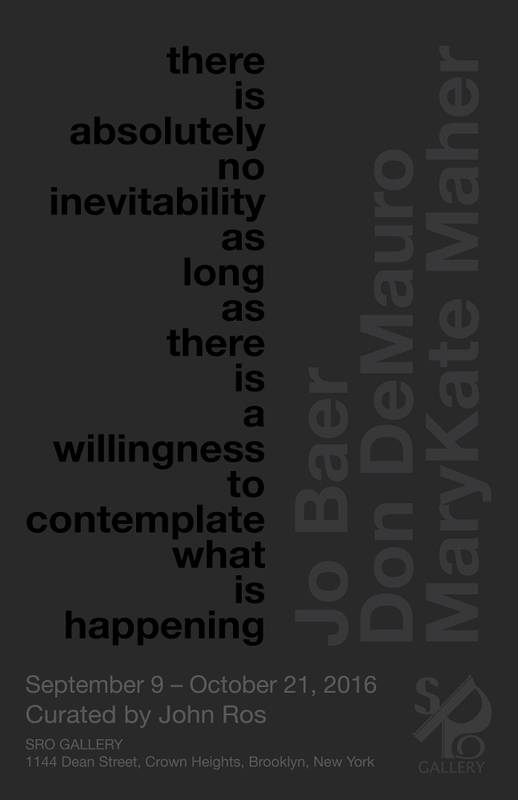 A group exhibition featuring the work of Jo Baer, Don DeMauro and MaryKate Maher. Curated by John Ros. The exhibit, curated by John Ros, will feature a combination of sculpture and two-dimensional work from DeMauro and Maher, as well as working drawings for Baer’s canvas, Altar of the Egos (Through a Glass Darkly), 2004. SRO GALLERY will also have available for view Jo Baer: In the Giclée-ed Land of the Giants, a giclée edition of 6 prints and 1 title page, with text by John Ros, which debuted at the Frieze Art Fair in New York this past May. Posted in exhibition, news & events and tagged Don DeMauro, Jo Baer, john ros, MaryKate Maher on 11 August 2016 by galleryELL. … for conversations about art, the universe & everything. DOLPH is an artist-run project based in London, UK. At DOLPH we set a brief. We want artists to share all the personal stuff, to tell the story of what makes them tick, and present it in an intriguing, cohesive exhibition. But DOLPH is more than just a series of shows that contextualize an artist’s practice. DOLPH is an ongoing conversation, a pooling of ideas, a sharing of inspirations. DOLPH recognizes that everything is integral to an artist’s conceptual and making process, and that broader conversations that set the world to rights can be just as informative as discussions about an artist’s practice. DOLPH will be in NYC for a week in October 2016 during Sluice_ Exchange Rates. 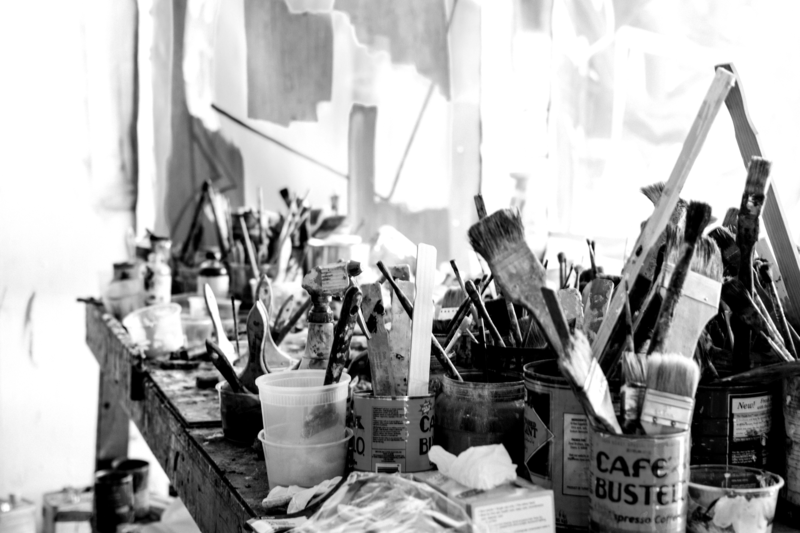 We would like to visit as many artists as we can in their studios, and talk to artist-run projects / galleries, to discuss ideas, working processes and more. We are interested in anything and everything. These dialogues and exchanges will be documented, with images and quotes posted on social media, and possibly later published. During these exchanges we hope to highlight the rich complexities and vagaries of an artist’s creative process, and develop links for future collaborations both in the US and the UK. The ambition for this project is to forge relationships that can continue long after Exchange Rates has finished. Posted in general on 31 July 2016 by galleryELL. Posted in exhibition and tagged altMFA, galleryELL, john ros, Multi-Function on 25 July 2016 by galleryELL.